This is architect Zaha Hadid, from Baghdad. 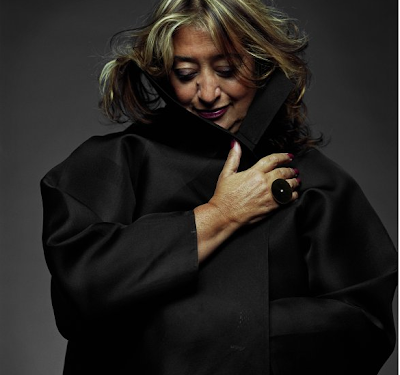 She is the recipient of the Pritzker award, the equivalent of the noble prize in architecture. Her research focuses on interrelating fields of urbanism, architecture and design. She combines natural topography and human made systems with cutting edge technology. 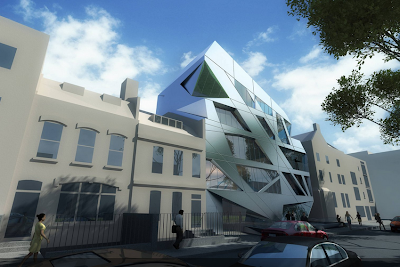 The result is unexpected and dynamic architectural forms. I have been on hiatus for a while to complete a two year docent program at the Philadelphia Art Museum. I am now a full fledged guide. The program not only focused on art and sculpture, but decorative arts as well which has helped me tremendously in my field of Interior Decoration. 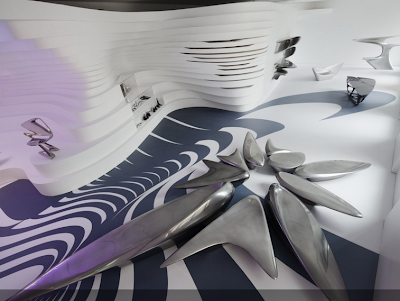 Hadid's work can be seen at the museum. The focus of this show is how her interior space relates to her furniture design. This photo below is Hoxton Square, London, England. It is based on the idea of a prism. The design seeks to respond to and manipulate daylight and views. 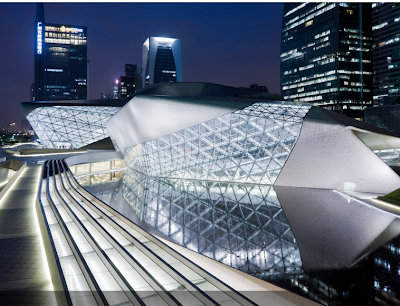 This next photo is he opera house in Guangzhon, China. 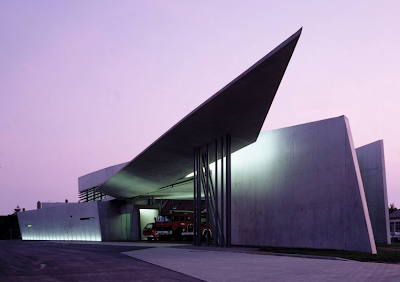 Below is the Vitra fire station in Weil am Rhein, Germany. Id like you to take a look how the architect translates her merge of urbanization and design when we look at the interior spaces. Here we are looking at her "Art Borders" wallcovers as well as one of her tables, organic and sleek. These pieces as well as her exteriors show movement as well. Below is Zahad's latest installation at the Philadelphia Museum of Art. The three dimensional pieces you see are actual seating. Once inside the space one feels like you are part of a wave. Please go to my blog, www.merlehillaryinteriors.blogspot.com to look at older posts that may be of interest. My portfolio is also on display as well.